YANG Sheng-An was born in Chia-Yi, Taiwan in 1976 and passed away in Wollongong, Australia in 2002. Demonstrated his talent and passion for art at a young age, Sheng-An received second place at the 20th National Youth Calligraphy and Painting Contest in the category of Chinese painting. The winning art piece is collected and stored in the Sun Yat-Sen Memorial Hall. In the same year, Sheng-An also won first place in the National Student Art Exhibition Award in the category of western painting and third place at the North County Student Art Exhibition in the category of Chinese painting. Graduated first of his class at Fu-Hsin Trade and Art School, he was recommended for admission to the Fine Arts Department of Private Chinese Culture University in Taiwan. In 1997, Sheng-An furthered his painting skills underguidanceby professor OU Hao-Nian, professor HUANG Lei-Sheng under Ling-Nan style and professor SUN Jia-Chin. In 1998, Sheng-An was accepted by the graduate art program of the Private Chinese Culture University. 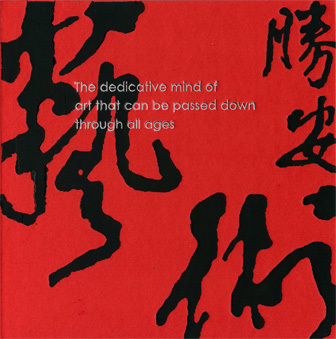 While excelling in his master program, Sheng-An published the YANGSheng-An Art Collection. After acquiring his master in Arts, he was hired by Fu-Hsin Trade and Art School and Hsing Wu University as a teaching staff member while completing his teaching credential with National Taiwan University of Arts. During Sheng-An’s career in art education, he helped his students attend various art contests both in Taiwan and internationally; the students had all achieved excellent placements. Sheng-An decided to further his study in arts in pursuit of a PhDin Australia. Regrettably, at age 27 Sheng-An passed away at an unfortunate sea accident in Wollongong, Australia. While alive, Sheng-An focused on learning art and expressing creativity relentlessly. Sheng-An’s paintings conveyed his sincerity towards arts. His brushstrokes achieved the discipline of mastery, embodied the essence of the reclusive, replete with the majestic potency and evoked the lush depiction of lyrical arts. The art works are both dynamic and eccentric, embellished with meticulous details. Captured one’s attention with praise and surprise even on a second look! Despite YANG Sheng-An’s relatively short life, it was overflowing with vibrant experiences. Yet what seems to be a well-set life, Sheng-An suffered from a diagnose of severe bipolar disorder in college. At the worst time, Sheng-An lost normal function as a person. His mother, SHENG Lien-Jing re-taught Sheng-An how to take care of himself like a toddler. While Sheng-An stopped painting, his father YANG Qi-Lin directed Sheng-An to start drawing again by painting a rooster and Sheng-An completed it with two chicks and named the painting Hen. However, at the peak of his bipolar disorder, doctor sent Sheng-An to a mental hospital and announced there was no cure for this condition. Slowly, Sheng-An was able to recover under his family’s great care and love and with his mother’s encouragement, climbed the Great Mt. Yellow in China and painted the scenery with calligraphic brushwork. With a group led by Professor WANG Yu-Jun from National Taiwan Normal University, Sheng-An started painting using the mountain snow water on site. He completed the painting series with the aid of his mother holding a hair dryer blowdrying his work on paper and received his graduate degree the same year. Later when Sheng-An studied aboard in Australia, he passed away after having accepted Christ Jesus. After Sheng-An’s passing, his mother was crushed under the poignancy of this misfortune and published a book in remembrance of him, A Fiery Phoenix: My Son Sheng-An. The profits from the book sales are used to fund scholarships for aspiring artists that reflect Sheng-An's resolution in education. The YANG Sheng-An Art Scholarship awards youth of Chinese ink painting creative contest with the YANG Sheng-AnFine Arts Award and the Art Loving Award. The scholarship funds quickly ran dry. However the scholarship is currently funded by donations from Taiwan Love 365 Art and Culture Association, as well as fromthe retirement fund of Sheng-An’s parents. We welcome donations from all to support this continuous event. The YANG Sheng-An Fine Arts Award is named after the deceased artist YANG Sheng-An, established by his parents YANG Qi-Lin and SHENG Lian-Jing. The purpose of this art award is to encourage the continuation and sharing of Chinese ink painting and art culture, making an impact on people’s life through these charity events. The YANG Sheng-An Fine Arts Award focuses onChinese ink painting creation from high school students in Taiwan.The First place received the monochrome ink and aquarene inkawarded with NT$30,000 and a trophy designed by Sheng-An’sprevious work “Friendship”. Other awards include outstanding award and excellent award and multicolor award and entrance awards, giving out a total of NT$200,000 in scholarship every year. Starting from the fourth of the monochrome ink and aquarene ink in 2008, professor LIN Jing-Zhong, the department head of painting and calligraphy at theNational Taiwan University of Art, supported the event and helped build it to become a national exhibition, gathering hundreds of award winning painting and published them. Together with the help of professor TSAI Yu, professor LIN Jin-Tao, and professor LeeTsung-Jenprevious department heads, staff and students, rooting for ink painting art education, a goal of reaching to onethousand of students and ten years of The YANG Sheng-An Fine Arts Award was accomplished in 2014. At the consideration of the founder’s health condition and lacking of funds, originally the scholarship was going to end at the tenth year mark. However, there was a donation from one of the 2014 award winners in hopes to continue The YANG Sheng-An Fine Arts Award. ZHANG Yi-Ren gave the NT$30,000 in addition to his own NT$30,000 savings to Taiwan Love 365 Art and Culture Association. Because of this, the founders have decided to continue with the scholarship event. At the second annual the YANG Sheng-An Fine Arts Award ceremony, LIN Guo-Wei from Taichung attended in a wheelchair. He suffered from a broken spine and could not stand up in his entire life, yet his love for art pushed him to finish an 120cmx60cm Chinese ink painting. Founders YANG Qi-Lin and SHENG Lien-Jing were touched and invited musician HUANG Yu-Xiang to award him with Arts Loving Award, witnessing his unique art vitality. Sheng-An Award was established due to the suffering he experienced with bipolar disorder, the adversity he faced in pursuing his dreams of art, and to encourage more students to enter the creative realm of Chinese ink painting. Students with special circumstances such as major disability, rare diseases and financial hardship can enter for the Art Loving Award contest, and to find their inspiration in life. In 2007, TZENG Jin-Fang from Tainan won the Arts LovingAward with “Harbor Lifetime”, drawing with the only two fingers from her right hand. In the same year, CHU Jin-Chun with hearing impairment and CHEN Chin-Ling with a rare disease both received the ArtsLoving Award. Their grateful hearts inspired all students who attended the ceremony every year. In 2008, YANG Sheng-Jie and KU Zhi-Ming designed the ArtsLoving Award with a Chinese ink brush trophy, in hopes that the young generation can continue to live an exuberant life, sharingtheir artistic talents, carrying the torch of life to shine on others who are in need in the future. This love is the established core value of YANG Sheng-An Fine Arts Award. Chinese ink painting, is a traditional art spread to Japan, Korean and various Asian countries, and became a unique oriental art style. Taiwan, a beautiful island named Formosa, preserved much of the Chinese cultural essence. However, the ink painting and its art are slowing being replaced by the increasing popularity of western art styles. The YANG Sheng-An Fine Arts Award, established in 2005 by the name of the young artist Sheng-An Yang, encourages students to pursuit calligraphic ink painting, continuing the development of the art and preservation of the culture. In 2014, a ten-year milestone was accomplished and YANG Sheng-An Fine Arts Award paintings were invited to have an exhibition in Taiwan Taoyuan International Airport, and was well received by international travelers. In 2015 and 2016, the 11th and 12th YANG Sheng-An Fine Arts Award was held. The curator, Jack Yang YANG Sheng-Chieh organized winning portraits to have a global exhibition tour. He will also hold the 2016-2017 Australia International Exhibition Tour with the help of FoGuang Shan Foundation for Buddhist Culture and Education and FoGuang Yuan Art Gallery. The exhibition will include important artworks completed by YANG Sheng-An Fine Arts Award over the 12 years it has been held, and YANG Sheng-An’s artworks, more than 30 artworks in all. Jack hopes to connect the art and culture of Taiwan with the world. 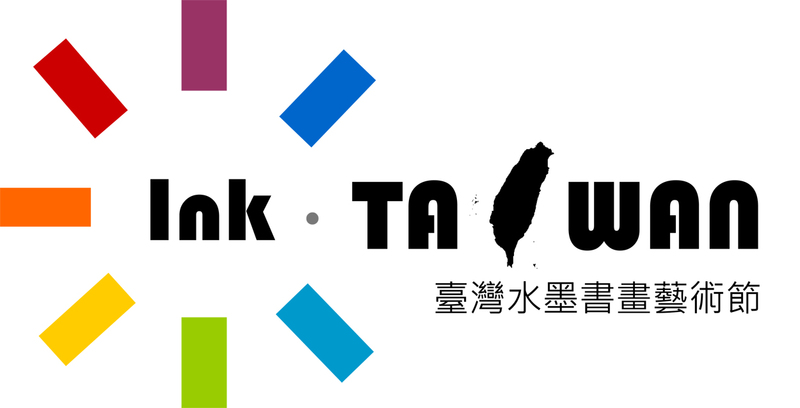 If there are all kinds of funds to inject, planning to visit one international city a year, the exhibit allows other countries to view Taiwan through art and cultural exchange, and expose the world to Taiwanese youth artistic talent and creativity.